"Job well done and completed on time." 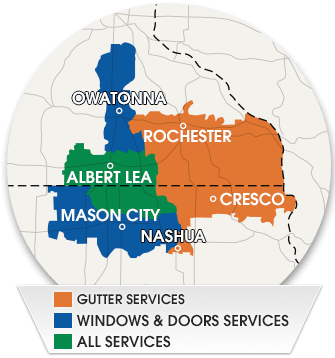 "Some of my neighbors had their windows replaced by Home Solutions and they were very satisified. They recommended Home Solutions to me, and I'm also very satisified." Would like to do the other windows in our living room, which we have gotten an estimate when you have another sale, maybe can do. But want the same installer, he was excellent!!
" Have already recommended you. Read really great reviews online before calling and schedule a visit from Brad. They were all spot on! What a great experience! Love our window! Thank you!" A printed, illustrated instruction sheet for flipping windows inward would be handy in adition to the tiny, awkward angle guide on the upper inside. We love our seven new windows! Thank you, I was so impressed with the two putting in the windows. I can feel such a difference. "Very satisfied with completed project and use of quality materials. Thank You!" No mess, clean up was great. Installer was very curtious. Picking out windows to installation was very easy. I would highly recommend HSM for windows to anyone. All of the people we delt with were very profesional & very competent. Your installer was one of the best! He was a perfectionist about how window fit. What a breath of fresh air. As a company, I hope that you are proud. You have this group of people as they truly show how good a comany you are. Good employees make a company. "The installer did an excellent job." Derrick was superior! Simply outstanding. Very hard worker. "We want to thank you again for a job well done on our windows." "Great experience. People were great to work with during the entire process. Thank you for treating us as a customer so well which doesn't happen with other companies."